If you're thinking about starting a collection of limited edition Blu-ray sets for your favorite movies and TV shows, you better make sure you've got ample shelf space on your home entertainment center for a bunch of disembodied zombie noggins. 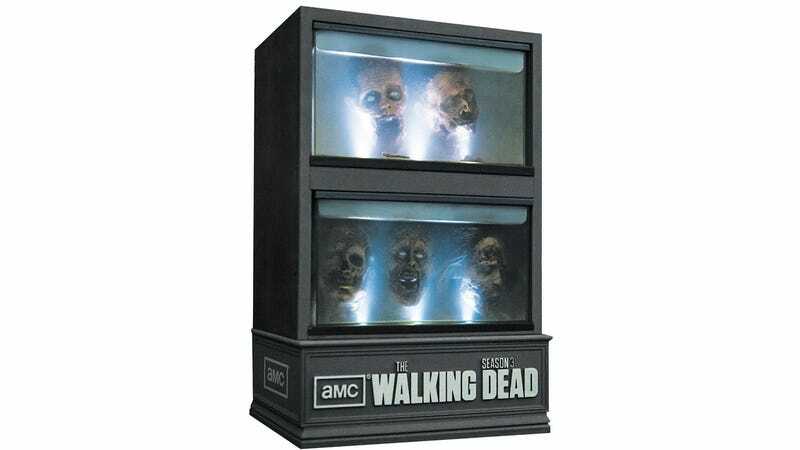 Available for pre-order for $105, the limited edition Blu-ray collection of The Walking Dead: Season Three comes in what appears to be a miniature curio cabinet filled with a small sampling of backlit zombie heads. The set also comes with loads of behind-the-scenes content and extra features, but most fans are probably only going to be buying this for the tiny freak show.